"The Best Completely Free Live Chat Option"
It is 100% free, and they are not planning to let user pay ever! You can also use it to see exactly from where your visitor come from! They have a nice design and the script does not slow down your site, they even have a wordpress plugin you can use for free and it's the only live chat option that will store all of your chat transcripts forever with no costs. I think that if you are looking for a live chat solution this is the best. there is not a lot to dislike when you get a perfectly working live chat customer service for free! I am able to interact live with my user on my websites! You can even add multiple websites to one single account for free! I use it also to send triggers when a user visits my website. "Free And Reliable Live Chat Support Platform"
Most Favourable and Effective tool, Free to use on Everyway with no restriction and Easy to integrate. moreover, there has Real-time Ticket Generation and follow up System. it supports file attachment, also Admin can manage support system by Time to time which is very effective. We can send targeted and behavior based messages to customers while there is no one for chat. Track Website visitors and pages they are browsing, this lets them target specific offer. It was difficult to gather the quality leads, right? Tawk.to helps me boost my lead generation activity! I can chat with the visitor and can gather their requirements. With the at a time, online support, I am able to get the contact details of the visitors. This has made my task easy of getting verified customers for my business. "The best online chat platform"
I highly recommend to tawk.to really for me is the best live chat platform I've tried I have no new complaint or that some client is difficult to use the real chat that all comments have been good for me and the chat of my website and That thanks to Tawk.to recently updated their platform and now is much better. "Live Chat Tool for Your Website"
Track the visitors coming to your website now. You will get the notification in this tool. You can set custom message whatever you want to say to the visitors. Once the chat initiate , you can chat with the prospects ant talking about the requirements. You can also see what the visitor is typing and also you can barge in a secret message you can send to your team mate on the same chat window. According to me, the customization and set up is quite difficult. We can work in team on Tawk thanks to multi-licences and whispers. I also like the gain of time permitted by the automation (triggers) and shortcuts for the most current questions. The triggers misfunction sometimes. The visitors of our website can receive triggers as "How can I help you?" even in the night time when we cannot answer them (out of the programmed hours). Moreover it is not very easy to master at the beginning. Really useful if you want to try a chat on your website with low budget. It is exactly what we needed to answer all the current and simple questions of our customers. If you want to really follow the visitors on your website, you should take an other chat system as this one is only to talk with them. You cannot see their screen or have an idea where their mouse is. Most of the visitors do not read correctly the articles of our website and we can orient them in the good direction or correct the misunderstandings thanks to the chat. We can also help our customers in their navigation on the platform. "Tawk the best solution for online chat"
Tawk offers its services from a free plan to one of payment. If you are a small company you can use the free one as it complies with what it promises and to be able to communicate with your clients or visitors through live chat, also if you are not available you can send a ticket that you can answer later or some of your agents in charge of the chat. Tawk.to has a brilliant tool that allows you to see what the client is writing before you send it, this will undoubtedly help you to open up a faster and quality assistance. Sincerely we like this program very much but one of the negative aspects that we have found is its configuration at the time of installing it can be a little confusing but it is something that can be solved by following the steps or writing to the support of the same company that can help. If you have a small company and still can not afford a paid online chat service, Tawk.to is the program that you can use to start with this service that will unleash your company whether you are a support company, sales or any another service. We have to serve a huge portfolio of clients in our company and this program helps us to do our job well. Our customers can send us a ticket and indicate the priority of the problem, load a screenshot if you want or if you need a solution and minor assistance and quick, you can communicate with us through live chat and in real time that Tawk.to it can offer. It is worth mentioning that it has an emerging message system that helps us to respond in time to the messages sent to us. But i wanted to try some other soft that are free. Tried a lot, so far this is the best one on the market. I do use it on our main domain and other microsites. Customer service is also great, they do like to support. Best why i did swtich off to this chat is because i like the motto of the CEO, why to pay for a soft to speak with your own web visitors. yes. if you have a small budget for any other software. Please try this one, as this is amazing. A lot of visitors like to live chat with a real human. SO this is the easiest way to reply to their questions. Sales departement also has this software installed in case i am busy. "Amazing Insights for Customer Communication"
The most interesting feature that tawk.to provides is the ability to see what users are typing before they click submit. This allows us at work to really improve our customer service because you can see exactly what the user is thinking/wanting to say to you, and then you can use that information to tailor your responses. In addition, the next best feature is the team settings with the mobile app. With many remote employees, we were able to perform customer service across the whole HR team no matter if they were in the office or not, and that was really convenient. The worst part about tawk.to is how the setup, customization, and configuration can be confusing. The settings specifically for email notifications are hard to understand, and I keep getting notifications about conversations I was not a part of despite trying to unsubscribe from them. It is important that you understand how to to use all of the features in tawk.to so you can maximize the benefits from their free tier. For example, make sure you take the time to set up your online/offline hours, automatic replies, email notifications, and other settings before going live. It will help you gain the most benefit from tawk.to, and their free tier will provide you most of the functionality you need. The major problem tawk.to provides is the ability to have a professional looking HR system that is only backed by a few employees that work remotely. Our small startup does not have many HR people; in fact, most of the people responding to questions on tawk.to are just the developers for other business personnel in the office that day. "Great and free live chat app"
It offers all its features for free, without limits. Also, it's really easy to configure and customize which is great. You would expect the features to be sub par vs similar paid apps, but they are not, they do what they are supposed to do in a really good way. This is the right tool if you want a simple, yet powerful live chat + ticket system on your websites to improve your business, as you will be able to start conversations with potential customers at the right time to help them make a decision, but also, you will be more available to the current ones, improving your relationship. Nothing, I think that it's a really good tool, but it could increase the number of native integrations. It's free (you only pay if you want to remove the branding) so give it a try, you won't regret it. It's perfect if you are looking for something simple that provides results. I'm improving my support with live chat, and also increasing my sales as I'm able to address any doubts or questions by potential clients. "Best Free Full Featured Live Chat Software"
"Great free product, but may be going obsolete due to Messenger"
It is free and easy to set up on Wordpress. It comes with a Wordpress plugin and you can even chat directly on your smartphone with their app. You can easily customize colors and text. You can also see which pages the visitor navigates to in real time. Their backend dashboard is not very user-friendly. Just a few things that make it difficult, but a few extra minutes to figure it out is worth the price. With the free version, you must have their branding on the bottom. Before Messenger created a way to chat with website users, I could find nothing that worked with my phone. I really wanted a service that integrated with my phone. This lets me know when a visitor arrives and I can chat with them anytime. "Great inexpensive option for Live chat"
I love that there is an accompanying app that I can use to chat with potential customers when I'm not at my desk. I am using the free plan and still able to customize it with my brand's colors and make it look like mine. It really is convenient and my visitors have said that it makes the website look so much more professional. There isn't anything that I dislike about it so far. If you are considering tawk.to and shopping around with other live chat applications, I would definitely recommend giving tawk.to a try. I chose tawk.to because of the pricing but I stayed with tawk.to for the convenience. Using tawk.to has allowed me to chat with my potential customers right away. It makes my brand look more human and not like a big agency that doesn't care about them. "Free and easy to use"
I like how you can create specific introductions to specific groups of people. I am a huge fan of how their chat set up is. It is very easy to take multiple chats and if I wanted to I could do it on the go with their mobile app. In the past you were able to send exe files but for security reasons that has been removed. I really liked being able to send those files, it removed a step of getting my files to the customer. We are able to reach out to our customers and potential customers on our website. We provide support to those who would otherwise communicate through email. "Full of features for free!" Although there are premium add-ons available, the free product is a fully usable service. Multiple agents, and even multiple sites can be configured without incurring any costs. There are additional features that I played with, but are not actively using such as the built-in ticket system and offline messaging. There's really nothing I dislike about it so far. I could complain about having to pay for premium add-ons such as the ability to remove branding, but in reality, I'm more amazed at all it comes with at the free price level and think the premiums are worth it for larger companies who need to offer more customization. Definitely worth a try! You can have multiple agents and multiple properties/sites, you can even assign agents to certain sites. These sites/properties could be different websites altogether, or could be different departments you want to track separately. There's built-in ticket and offline message functionality although I'm not personally using those features, but it's included for FREE. Being able to offer instant support without a customer needing to pick up the phone has been great. Even showing the live chat available icon has been enough to sway some customer sales because they know it's easy to reach someone without making a phone call or waiting for an email response. "Hasta ahora nos ha funcionado bien"
Nos gustó que podemos habilitar la herramienta y monitorear varios ejecutivos a la misma vez. Fue muy fácil de instalar. La plataforma envía una copia del chat la cual nos funciona para realizar reportes y tener hallazgos de lo que los clientes consultan en el chat. Una vez intenté utilizar el servicio que tienen de ayuda a los clientes, pero no fueron muy buenos. No evacuaron mi duda, al final logré resolverlo yo sólo. No se pueden generar reportes de la cantidad de personas que utilizan el chat, sólo la copia que envía al administrador. El servicio de soporte podría mejorar. Si quieres una herramienta sencilla de usar y gratuita, es lo que buscas. Puedes tener varios ejecutivos al mismo tiempo atendiendo. Tiene reportes pero son muy sencillos. El hecho que los clientes puedan hacer sus consultas por este medio, nos desahogó las redes sociales. Podemos tener en tiempo real copia de las comentarios que nos dan los clientes. What I like in Tawk.to is that I can see what our site visitors are looking into currently. I can also see what they are typing so it gives me time to look up the response while they are typing and thus my responses are timely and accurate. I dont like the ringing sound, but i guess it works or im just not sure how to change the notification sound. I have used other live chat softwares before and for me this worked best. Highly recommended. You can actually use the templates for easy access to most common questions, and with its built in feature of seeing your customer's typed in responses also makes it easier for customer support to answer questions in a timely and accurate manner. I can definitely say this is a great tool to use! My role is just to provide customer support for our would be buyers and existing customers and make sure that we provide excellent after sales support. Benefits of having a livechat system is that we can reach out to more customers because some customers do not like calling. "So far this has been a wonderful introduction to the world of live online support." The cost of entry is free, which in of itself does not make a great product, but it helps when you are trying to determine how to enter the market of live online support. Where this really wins me over is the cost coupled with it's feature-set. You are able to communicate live with your customers across desktop and mobile, and still the base price is free. It has opened up a world of support that my customers deserve to have. And this coupled with other products like Droplr has been a real boon for my business. I would like to see some improvements in the client interfaces. They feel at times a bit clunky and hard to understand. This is particularly the case when it comes to online/offline/hidden modes. It is very confusing how some of these features work. Also it would be nice to see some more polish to the UI in general. Because the cost of entry is nothing, there should be no reason not to try this service and it's apps out for your business. You really have nothing to loose. It is also very easy to integrate into an existing site and has Wordpress plugins available as well. There really is no excuse not to try it. Communicating with active and potential customers has been blown wide open for me. I am able to connect with clients and potential clients without any hassle. This increases my ability to support existing customers, but also win over potential customers because they know they can reach me easily. "Cannot believe how good the free tier of this product is!" I really like the mobile app that allows you to answer support messages while on the go. This is a life saver for a small startup like ours where we do not yet have a full-time support staff. Any member of our team can jump on a support message. I do not think that the plugin is as nice looking as something like Intercom. There is not limit to how many administrators you are allowed to have, so get a bunch of people on your team to download the Tawk app to make your support team appear to be large and responsive. We are trying to offer live chat support without having a robust suppport team. "Great way to keep in touch with our clients"
Available on both our phone and desktop, it alerts us when we've got a lead that is checking out our site. One of the cool things about it is the realtime monitoring and how I can read what they are typing even before they send it. Occasionally I won't get alerts until after the user has signed off. Tawk.to is a free option to use when wanting to implement a chat bot on your site. It allows you to communicate with your customers and help guide them along the buying process. It allows me to keep in touch with my users and answer any questions they may have before they have to commit to filling out a contact form. "Great to use its fantastic"
"It is good customer relation software"
It is a free customer live chat available for users. It is free and you can design it and also have live chat hours. Holiday message. Nothing to dislike when you get a lot for free. There is both free and paid version. Free version does a lot but if you really want to upgrade you can do it. "Be available to your customers"
So many things! I like that you can see what website pages the visitor has been to so you know better where to direct them. It shows what the visitor is typing before they hit send so you can prepare your answer quickly. It tells you what city a visitor is in, based on their IP address I assume, but doesn't list the state. For our business, it is often necessary to know what state a person is in, it would be nice to know the answer ahead of time, but it is easy enough to just ask. We are now able to answer visitor questions right away, so they don't have to wait for an email response. This allows us to get the visitors to the purchasing process as quick as possible. Tawk.to offers a free livechat tool to put on websites, since it's free it's got bunch of users around the world using it. Interface is very nice with a sleek design. Everything is in place and accessible very easily. There's nothing to really dislike other then not being able to change the livechat widget design. I personally think that it should be more controllable and more changable. 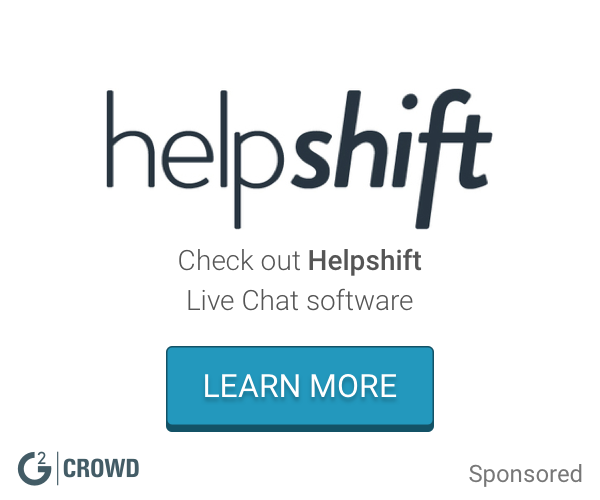 Looking for a free livechat tool? Tawk is what you're exactly looking for. Helping customers has became way easier. Solving each and every single problem our customers have through tawk is wonderful. "Why wouldn't everyone be using this?" Easy to setup and lots of options. It's ability to watch our customers movement through the site, gives us a lot of insight. Dislike is strong... but wished had a little more control over the look. It's a great tool to give your customers an easy way to talk to you. Makes it easy to work with customers and convert them into buying customers. "Best app for Live chat support on website"
It simple give notification when someone visit our website and provide all information like where user location and which page is now landing. some time It's mobile app stuck due to some problem and not responding in agent device. Yes, I recommended to my other friends to try it once. Using tawk.to, now tracking my website visitor and provide them online support is much easier. "No sense creating one of my own now - this works perfectly"
This was not only extremely easy to sign up and install, but the ability to customize the interface to blend in with the rest of my website is great. It's also very user friendly, very intuitive. I'm recommending this to any of my clients that would also like a chat program for their websites. This product is great - and it's free, which is shocking. I'd pay a one time fee if I had to for something like this - I was going to build my own, but the fact that this is free is very much appreciated. I also really like the business model, and if I find that my business needs in relation to customer support increase I'd be happy to purchase anything they have to offer at that time. There isn't anything I've found just yet that I can complain about. I'm just filling up this 'dislike' box because I have to at this point. If you're looking to build your own chat program, I'm sure it's a very good learning experience (which is what I was planning on doing), or you're currently using a paid chat program or something and aren't satisfied and you just want something that works, and works well, use tawk.to. Providing multiple paths of communication for all customers is awesome. Some users like live chat, some just want to use a contact form, and others like to talk on the phone. I'm now offering all forms of communication, and this chat program is the icing on the cake of my website. Awesome experience to start an conversation with customer if they raise any Question which placing order. All comes for free even they have a huge features like Canned response, Triggers and others. Design is bit outdated need to improve an Transparent version. Live chat support for every store for communication. Covers a huge gap between store owner and Customer before placing order. "Great live chat platform and can handle any number of websites"
The basic plan is free and still allows you to have numerous websites and chat agents. It is easy to implement and 'just works' flawlessly. I don't like the way the admin interface works in parts, kind of opening a new tab when you click on different features. However, this is a very small price to pay for what is overall a great system. definitely worth a try. I'd recommend it to anyone! real-time communication with our customers across 3 websites, with one login. Tawk is a super helpful chat tool. I love that several people can view and join the same chat -- you can even join chats as another customer service representative in case the first representative got caught up in another task, which keeps the customer experience smooth and seamless. I wish there was an auto log off of some sort to ensure that no one accidentally stays logged in past their work hours. I would definitely recommend Tawk to anyone considering it. It's been wonderful. Adding a chat function to our business has greatly improved our customer communications. It solves customer problems in real time without them having to pick up the phone to call us, which many customers prefer not to do. "Great way to offer help to your customers!" No issues at all! it just works and it gets better over time! If you need to offer chat support or any kind of customer service on your website, you need this! offering Chat support to my customers is the best! 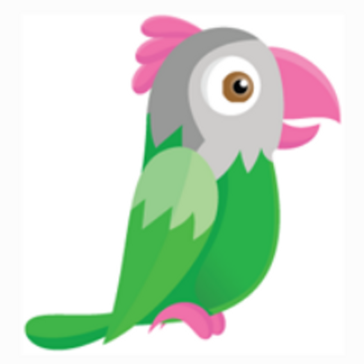 "The very best chat widget for the price"
Tawk.to is free! It's really remarkable when comparing it to the competition. It's overall feature set is comparable to other platforms, but you get it at no cost from tawk.to. The user interface has some things still to be desired. Some users have difficulties closing the chat as it is a 2 step process that could be streamlined. Particularly if you are an early stage company that is watching every cent you spend, tawk.to is a great option to have live chat at no cost. Tawk.to helps us engage with customers, and realize more sales. If customers have questions we can answer them right away and prevent them from dropping out of our funnel. "Managing the track of leads turn easy "
Ticket Conversion as well as mail tracking. It is trouble-free to maintain the lead management. Geolocation tracking is not that exact. Because of this, sometimes it is troublesome to evaluate the contact person's location. Though the IP address gives the idea but in the case of VPN, it fails. In the Tawk.to live chat, it is easier to attend the customer from anywhere. So, you can converse with the same person over chat and can continue with same over your desktop. Brilliant live chat serivce, and it’s completely free for basic functions, you can see as visitors type, track the pages they visit, see their browser and location, and chat history is infinite. The price for hiring agents for $1 Per Hour is on the basis that you hire them 24/7. Tawk.to provides live communication for our customers. "Great free live chat for any website." I love the offline feature that it offers. I am able to still receive chats even when I am offline and easily respond to any of my customer's questions. Wish there was a little more on the customization side, but for being free can't go wrong. If you need minimal features for an online chat for your website, this is on the top of my list. Offering a way to easily connect with my online customers directly from my website. "Very convenient to reach out to prospects!" I like that it's an actual person reaching out to a prospect instead of being a bot. There really isn't much about tawk.to that I dislike. It is a better way to reach out to other prospects other than by social media. "Free and Best Chat Solution For Web Sites"
Tawk.to is very good chat solution and really i can't find immortality. Free and serves completely solution. Must use! We use Tawk.to at our all system including web site, moodle LMS, our customized automation system and online examination system. Our students can reach us from every place (mobile and desktop) and every time. We can track our students previous problems and conversations. "Completely Free and Easy to Integrate"
There a some internalization issues when used in a language different than English. I suggest you to try Tawk.to if you are looking for an instant chat service to integrate with your webpage. It is totally free, easy to integrate and provides detailed reports. We integrated Tawk.to with Wordpress. With this integration visitors are now able to chat instantly with the company if a staff is available to reply. Otherwise Tawk.to is notifying us with e-mail, so we are not missing any potential clients. "As a chat software, fantastic, as a helpdesk, not so good"
I loved that it was for free and I loved the chat features. I repeatedly asked for help as my clients complained they did not get mails from the helpdesk system. I repeatedly complained to Tawk.to and they did nothing to solve it. They tried blaming it on me, but whenever I used my own mail to reply to customers all was fine. It was only in their helpdesk tidket system that mails were too frequently not recieved by my clients, which actually, caused me quite much damage. If they fix this problem, they will be the best. In the end - I had to stop using it due to the problems as it was not reliable. Otherwise - if you want them only as a chat then they are fantastic. "Best free client chat software"
You could easily customize it for your website. Actually, there are no dislikes about this software on my side. I contact my customers on the go with this unique software piece. I like plenty of options and details for customizing. Monitoring with an IP and location details. Also reports are pretty good. Everythign is easy to use and looks nice. i would like to see and hear more different sounds and some layots for chat windows and their location on the screen - from my admin side and from customers side. It would be nice if the chat window can have some layots too. That is really easy to install and use so you can esily try it. That is a pretty nice system of online chat that includes calls and videocalls. Solving the only one problem - fast online connection with a potential customers. "Available on both our phone and desktop!" I am using the free plan and still able to customize it with my brand's colors and make it look like mine. It really is convenient. They feel at times a bit clunky and hard to understand and I dont like the ringing sound. showing the live chat available icon has been enough to sway some sales because they know it's easy to reach someone without making a phone call. It's FREE! Also, the absolute easiest live chat software I tried. Looks professional and it's very easy to customize to the look of my websites. Also, the chat alerts aren't annoying. Haven't found anything I dislike yet. One feature that could be beneficial is the ability to monitor multiple websites at once from one dashboard. If you want a free live chat option, tawk should be on your list because of it's ease-of-use and detailed analytics. Capturing live traffic on our site and converting them into paying customers in a shorter amount of time than if they called/emailed. Easy to multitask! "Awesome Live Chat Support System"
This software has helped me generate more sales from my website as I am directly able to chat with potential clients the minute they arrive on my website. At the moment, I don't have any dislike. Tawk to solved this so efficiently. Not only did they provide this service for free (yes there is a paid tier also and one where they provide you with CC agents). "Free and easy to use!" I love the desktop app as well as the phone app. It is very customization and easy to setup and use. Best of all its free in every way with out restrictions that I can find. It also has an amazingly quick update and response time to changes made, like an agent going off and online. I don't dislike anything about it except that its branded, but its free after all. I also am sad that it doesn't directly connect with my help desk software, but that isn't Tawk.to's problem. Use it, and you will love it. Customers being able to ask quick questions with technicians. We could integrated it in no time to our site. Our developers just needed to copy-paste its code to our webstie's source code. After that we could customize it to our look - it was easy, we done it on tawk.to's platform. After that my colleague also signed up to the platform, and was able to work quickly. What's the best, that we can see real-time statistics and data about of our customers e.g. where they are going in our site, what they are seeing while talking to us, and what they are writing before sending it to us. Oh, and its completely free. It would be better if I can include a longer message when I'm currently not available for chat. It makes easier customers to connect us. It helps conversion, and strengthen our brand as visitors are feeling that they can interact with us more easily. "Easy to use, great way to connect with prospective residents"
I like how it notifies you immediately when someone has logged on, and shows you what people are typing before they send it. The reports can be difficult to follow at times, but other than that tawk.to is very user friendly for both parties involved. We use tawk.to to reach out to residents once they enter our website. We are able to ask if they have any questions and get their contact info if they are looking to lease for us. Benefits of using this program are an increase is prospective residents. "Perfect for quick and easy customer support." The notifications that they send you on both desktop and mobile when a user has started a chat. Sometimes the dashboard information is incorrect. It wasn't too much of a problem because Google Analytics gives you all the same information. But if they have it I'd rather have it be accurate. Very useful especially if your product isn't quite where you want it to be. We were working on optimizing our site and had some login problems along the way. Because of tawk.to we were still able to edit profiles, orders, and answer any other questions while some of our functionalities were down. Real-time customer service on our eCommerce website. "Great option for customer chat"
I’ve used tawk.to on several websites, it works great - even has an app for my iOS device. A must have for the budget conscious! Sometimes the app doesn’t always sync up with my site but that’s a rarity. Has made talking to customers when away from my computer super easy! I love that it’s so easy to add live chat to my website. I dislike that I can’t remove the branding. I’m able to instantly connect with clients. "Quick and Easy chat system with light branding"
Branding is not obnoxious or in your face. Can easily work around it. I dislike the add-ons they are moving towards along with the ecommerce focus. Quick chatting with customers on our website. * We monitor all tawk.to reviews to prevent fraudulent reviews and keep review quality high. We do not post reviews by company employees or direct competitors. Validated reviews require the user to submit a screenshot of the product containing their user ID, in order to verify a user is an actual user of the product. Hi there! Are you looking to implement a solution like tawk.to?